Airports are increasingly focused on improving the passenger experience. While there are many reasons for this, one key business driver stands out: happier people spend more than unhappy ones. 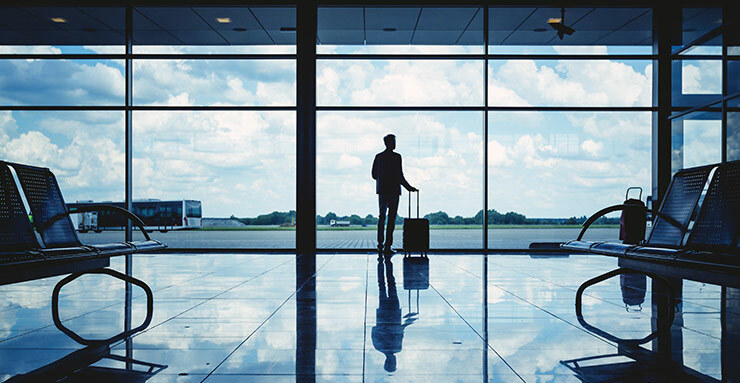 Airports are increasingly looking to grow their bottom line through non-aeronautical revenue, so creating happier travelers is a business imperative. In our latest white paper, "Enhancing the Air Travel Experience: How Dynamic Glass Creates More Comfortable Spaces in Airports", we explain the connection between passenger comfort and passenger experience. We also provide data showing how to better understand and manage comfort in airports, as well as the role dynamic glass plays in this effort. We think those involved in the design, construction and operation of airports will find this white paper a useful resource as they seek to create airports that enhance the passenger experience. Download the white paper by filling in the form below. By downloading this white paper you are opting into communications from SageGlass. If for any reason you wish to unsubscribe from our communications you may do so by clicking UNSUBSCRIBE located at the bottom of all our communications.